There are plenty of reasons children may struggle with their homework, and it's important that we help find solutions. Education and parenting experts chimed in on one helpful tip: finding the best location for your child to focus. Have a distraction-free homework area. In our house, it is our kitchen table. I find that it is central enough for me to help my second-grade daughter when she needs it and yet close enough to toys and entertainment for my two-year-old son. The most difficult part is keeping this area distraction-free. We can’t turn on the TV, play with anything interesting, or do anything fun. That’s life with a six-year-old. Instead, I pull out paper and crayons for my two-year-old son so can “do homework” too. The next tip changed our after-school bad moods immediately! We recommend parents to try to create a relaxing space where the child can nurture his/her creativity. It is essential for a student to have a homework area that’s free of distractions and has all the materials they’ll need to get the work done. This will result in increased academic interest, helping the child unlock his/her academic potential. Is your child having trouble focusing on homework? These experts have tips for you! Help your child to create a clean, well-organized study area where she completes her homework on a regular basis. This could be a desk in her bedroom, the kitchen table, a study desk in another room, or the like. This study area should be stocked with all the supplies she may need to complete her work -– pens, pencils, loose leaf paper, highlighters, a sharpener, and so on. Help her organize the supplies into labeled containers or sections within drawers so that every item has a home. As the supplies quantities dwindle, be sure to refill them right away to avoid any unnecessary distractions in trying to look for these items. Provide a distinct, comfortable, well-lit, quiet, and non-distracting place for the homework to be completed. 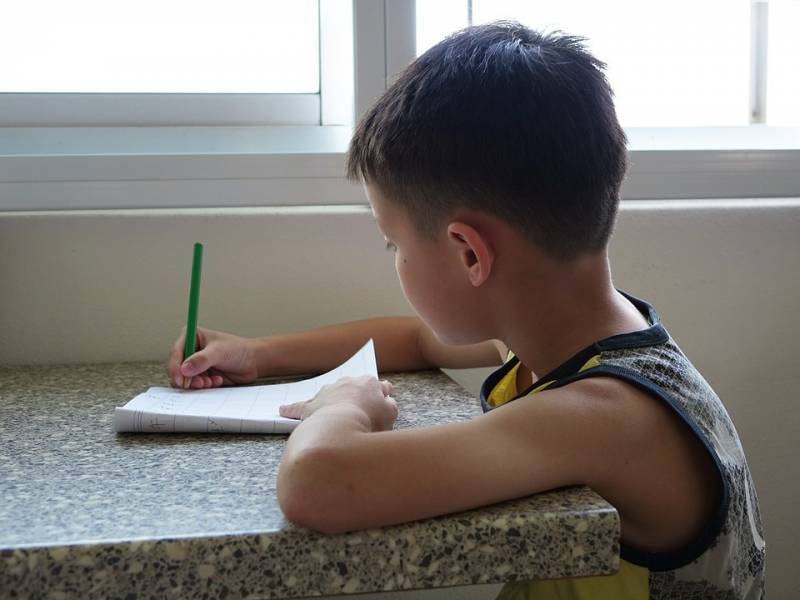 Ensure that your child has everything needed to do homework, from pens and paper to a laptop and books, and be sure to get special project materials in advance, to avoid the excuse of "I don't have what I need." It is essential for a student to have a homework area that’s free of distractions and has all the materials they’ll need to get the work done. Set up an inviting homework space/station in your home. It doesn't have to be permanent station if your home is small. Be creative and have a table/desk, cushion/beanbag, and all homework supplies available. If it is hard for your child to get to work at home, consider having them complete work at a tutoring center where they complete their work and then either have fun or get to go home to have fun. Another idea is to bring them to a coffee shop to get a treat and do their work on the way home. This way they might not show all of their avoidant behavior because they are in public and on the way home. [Have a] comfortable chair (no dangling feet -- put some type of support so feet have something to rest on), also a desk/table at a proper height. If your child is a wiggler, buy a beach ball, slightly inflated, and place on the chair -- allows for movement. If they would prefer to stand, let them. Provide a squeeze ball for opposite non-writing hand if it wouldn’t be a distractor. Many teachers provide a folder - one side papers stay home, other side paper's returned. If the teacher did not do this, the parent should. The "inbox" is one more place papers can be misplaced on the way to/from. A distraction-free area for homework will keep kids focused. Have all the homework supplies at the ready. Get creative -- find a comfortable spot at home, or try a tutoring center or coffee shop. With just a few easy steps, your child can be in a comfortable, distraction-free environment with everything they need to work hard. That's not all -- you can find more homework avoidance tips here! Learning Success System can also help you find which micro-skills need strengthening and increase learning ability -- take our free assessment here! This is part one in a four-part series. Stay tuned for the next set of tips.